Somerset Cottage Poodle Rescue's mission is to rescue companion dogs, especially seniors, at risk for euthanasia from overcrowded shelters, and we provide the medical treatment they need to be healthy again and ready for adoption. We are proud that we find perfectly matched forever homes for the dogs and perfectly matched dogs for the families. ​SCPR is a 501(c)3 charity organization, a dog rescue completely run by dedicated dog-loving volunteers and funded by your donations. We rescue primarily Poodles, Poodle mixes, Bichons, Maltese, Shih Tzu and other non-shedding hypoallergenic companion dogs. We also rehome dogs surrendered by their owners who can no longer care for them. All of our dogs temporarily live in private foster homes throughout the Northern Virginia area where they are restored to good health and evaluated for placement into their best matched permanent family. ​Lesley Clark, President and Founder, established SCPR in 2013. Since then over 400 dogs have been rescued and placed in permanent homes. 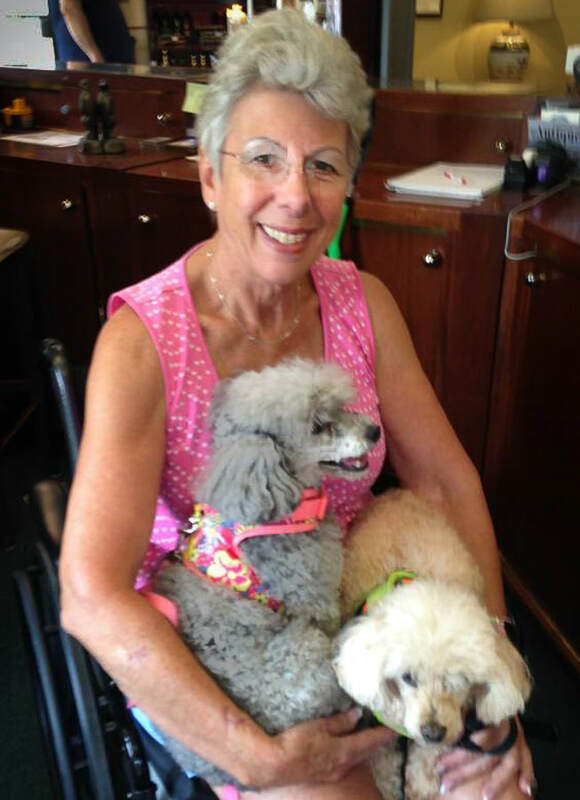 For over 40 years, she has been the proud dog mom of many poodles and three who were adopted as seniors lived until the age of 19 years. Presently Lesley lives with her three senior poodles, Baylee, 17, Sammy 13 and Bella 9.